What’s all the hype about with choosing one word for your year? Are you even any more likely to remember it than you are to stick to a traditional new year’s resolution? Last week, I talked about the main differences between the two approaches and why you might choose one over the other. Personally, I’m a fan of the one word approach. 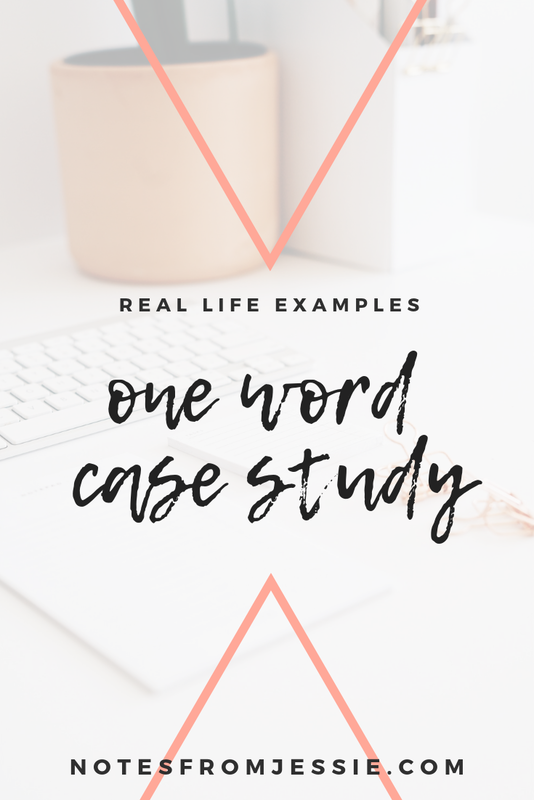 And I thought I’d share my experience in the form of a case study so you can see my one word in action! My word for 2017 was “beloved.” I’d been having a difficult time holding onto my God-given identity for a while, and I was working on a book that began with identity work. I went on in the book to explain how you can discover your purpose and live it out in daily life, but the work begins with discovering and embracing your God-given identity that never changes. And in order to be able to write those words with integrity, I had to work to embrace them myself. This was a regular, even daily, practice for me. I painted a sign with the word “beloved” on it and put it on the mantle in my living room where I could see it often. I painted a card with the word “beloved” in watercolored script and clipped it above my desk where it was hard to miss. A dear, sweet friend of mine was at the time making jewelry, and I got a necklace from her with the word “beloved” on it so I could wear a reminder of who I am. No matter what happened in my life or went on in and around me, I wanted to hold tightly to that identity, to that truth. It’s easy to find our worth in other things— our work, our beauty, our relationships, our bank accounts, our accomplishments. But those things will always disappoint, and I knew it. I just knew I hadn’t been living like I believed it, and I wanted to change that. I certainly didn’t do it perfectly. There were many days when I forgot my identity, when I searched for it in other places. There were weeks when I lost sight of it entirely. But having that word, having those tangible reminders left and right, helped me get back on track each time. I never strayed too far before I found the path again. The most beautiful thing to me about the word “beloved” and attaching it to 2017 was that it didn’t stop there. I started using daily affirmations in 2018 that were rooted in my God-given identity, words that I turned to (and still turn to) daily to remind me of what’s true. I still have that card pinned above my desk as a reminder, and I still wear that necklace often to claim my identity once again. That’s what I love about claiming words for my years— they aren’t easily forgotten afterward; they keep living on in my heart and showing up in my life. Unlike resolutions that I might abandon by spring, these words stick with me and change me, little by little. I might not have dramatic or tangible results, but I know I’ve changed in ways that matter. In October of 2017, I started feeling the word “adventure” impressed upon my heart for 2018, but it felt too early. I normally don’t start thinking or praying about a word until December. I was uncertain whether God was speaking to me on His own timetable that was ahead of mine, or if I had just been drawn to a word that seemed fun, and dare I say it, adventurous. But December came, and I still couldn’t shake that word. In fact, it had been written even deeper on my heart in those couple months. So I went into 2018 with adventure on my mind, just knowing somehow that the entire year would be characterized by that one word. I’ve never done particularly well with change, and life has a way of throwing changes and challenges in clusters. I faced a few of my own in 2018, and one thing that helped me cope with them (among other things) was choosing to see them as adventures, knowing I was never alone in them. Learning what to pursue in my business was (and is) and adventure. Experiencing all the “firsts” of a new relationship was an adventure. Starting a new job in the fall was an adventure. Mini day trips, cabin days, traveling to out-of-state weddings, getting engaged in my college town, camping up north in October, and spending birthdays and holidays together for the first time were all amazing, sweet adventures, too. 2018 held more ups and downs than I could have ever imagined, even knowing I was going into a Year of Adventure. But framing the year through that lens helped me look for adventure, stepping outside of my comfort zone more often. Through those experiences, I grew in boldness, faith, and trust in God and His plan. I learned to rely on Him more heavily when I had no other option, and I began opening up more of my life to other people as well. And it helped me see challenges and changes in a more positive light instead of bemoaning my plight or shying away from them. I’m still doing that this year! This year is the Year of New for me. I originally thought it would be the year of change, but that felt too negative, so I chose a word that could represent much of the same things but in a more positive way— new. This year I’ll get married. I’ll move to a new house. I’ll claim my fiance’s dog as my own. I’m refocusing my business (again). I’m still learning the ropes of a relatively new job. 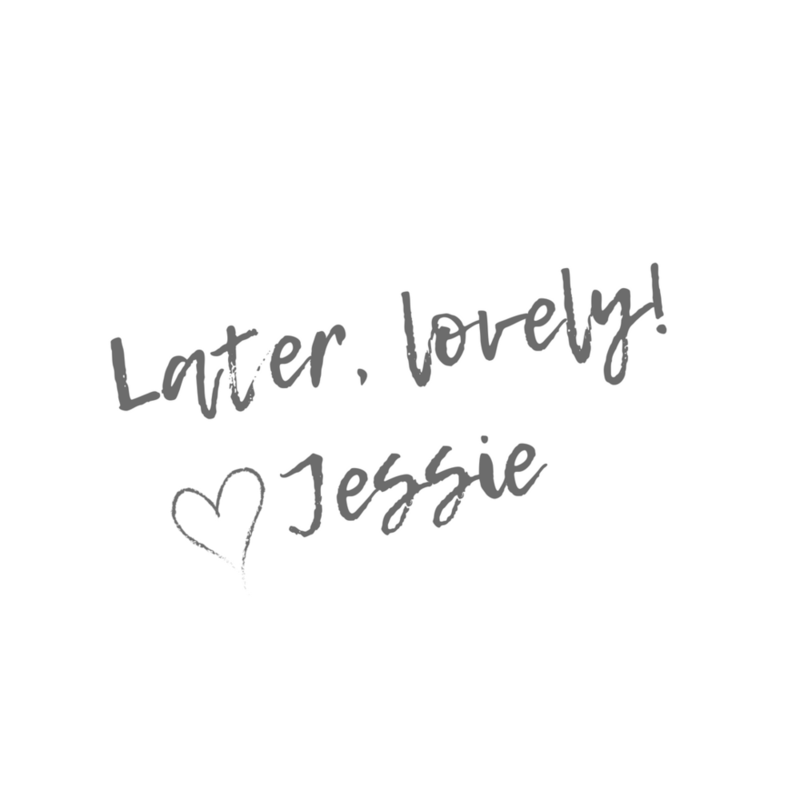 And I’m taking a re(new)ed approach to taking care of myself through self-care, rest, essential oils, DIY products, and more. It sounds like a lot of change, and it is. So I’m clinging to the things that don’t change and choosing to view the things that are new with a positive attitude. It helps that many of the changes are ones I can anticipate and prepare for ahead of time (packing for the move, going to premarital counseling, taking my time with business changes). Of course, things will come my way unexpectedly, too, because that’s just how life works. But I can still hold fast to the things that are staying constant— my faith in God’s never-ending love and limitless grace, my family’s support, my friends’ encouragement, my fiance’s help, my love of writing, my church family’s presence, the life-giving power of rest, and the sweetness of good food and good conversation. My goal for this year is to embrace the new things and hold onto only the helpful things of old, letting go of what’s no longer serving me. That means decluttering my home— a process I’ll be sharing with you as I go. That means letting go of unhealthy habits. That means reworking my schedule. That means adjusting my priorities. That means establishing new routines and habits. Whether you choose a word for your year or more traditional resolutions, I’d love to hear what your goals are for this year! You can leave a comment below to let me know, and don’t forget to grab your free printable goal tracker to make sure you’re consistently working toward achieving those goals!